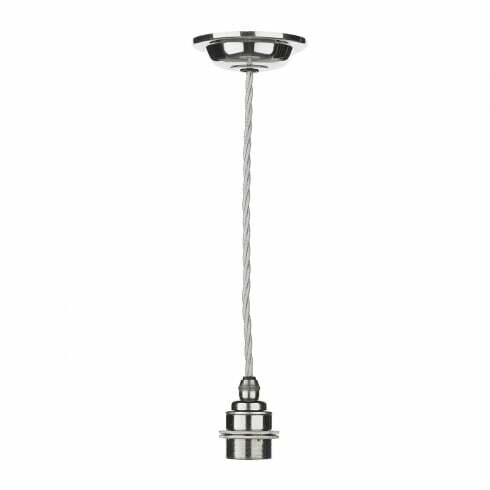 David Hunt Duxford single light suspension kit features a polished chrome circular ceiling plate with silver braided cable, a vintage nickel lampholder and shade ring. The product code for this David Hunt suspension kit is DUX6550. Height is adjustable at the time of installation and can support a maximum shade weight of 2.2kg and is suitable for ES/E27 lamps. This lighting suspension kit is also available to order in an antique brass finish which is product code: DUX6575 , or to view alternative solutions please continue to browse through our website.